While more than 140,000 automotive buyers are preparing to descend upon the National Exhibition and Convention Center (NECC) in November for Automechanika Shanghai, organisers are working behind the scenes to ensure the high expectations of the show’s fringe programme are met. This year’s edition will see some 50 fringe events take place, covering a strong collection of topics and pressing issues related to the entire automotive world. Altogether, over 250 senior level representatives are taking part as speakers in this year’s fringe programme at Automechanika Shanghai, held from 28 November – 1 December 2018. The events are expected to inspire participants with new ideas, provide the latest industry trends, expand their business networks and shed light on the industry’s future developments. The aftermarket in China continues to grow at a rapid rate, and the sector is by far the country’s biggest market for auto developments. This continued growth has been met with a number of new opportunities and challenges to overcome. As such, the show will shine a spotlight on this topic through the Automotive Aftermarket Summit 2018 on 29 November. The event will gather leading companies from the automotive aftermarket sector, including Ms Lang Xuehong, Deputy Secretary General of the China Automobile Dealers Association and Director of Industry Coordination, Mr Frank Liu, CEO at Fix Auto China, Mr Shang Baoguo, Founder & CEO of Carzone, Mr Wayne Yao, Managing Director for China and Asia Wolk Aftersales Experts GmbH. Each will discuss and analyse different aspects of the aftermarket sector’s supply chain. The summit will explore growth hotspots and potential across both domestic and international markets, whilst also forecasting future developments and collaboration opportunities for the sector. The summit also covers the differences and impacts of e-commerce between the US and Chinese multinational auto parts manufacturers in the aftermarket world, the development of service chain stores, the outlook of independent workshops, auto financing, insurance and more. Meanwhile, organised by the Automotive Industry Action Group, the AIAG Auto Parts Purchasing Leadership and Suppliers Summit on 28 November has invited purchasing executives from GM, Ford, Fiat-Chrysler, PACCAR, Volvo, Geely, NIO, Bosch, BorgWarner, Cummins, Valeo and other OEMs and Tier-1 suppliers to share their sourcing strategies and requirements, as well as their quality management systems in Asia and China. This platform will serve as an opportunity to learn and exchange thoughts on the sourcing and quality with hundreds of purchasing leaders across the supply chain. Meanwhile, the global automotive industry is undergoing an unprecedented transformation at all fronts, from autonomous driving and digital disruptions, to the rise of sharing economy and social trends. To address this fast-changing world, several related conferences will shed light on the future of service and mobility. This includes the Tomorrow’s Service & Mobility Summit 2018 on 28 November. The summit will invite eminent domestic experts and scholars to discuss current and future developments in the areas of car connectivity, new energy vehicles and autonomous driving. Specific reference will be given to the differences between China and Germany in terms of safety standards and the implementation challenges of autonomous driving, as well as blueprint sharing for the future of service and mobility. The Connected Mobility Conference Shanghai, part of a conference series across three continents, will take place on 29 November under the theme of ‘building and profiting from the connected digital mobility ecosystem’. The conference will discuss future mobility trends in China, including future auto mobility business models, opportunities and challenges for international players in China, and sino-foreign collaborative innovation. A number of high-level speakers will join, such as Mr Bernd Pichler, Chief Marketing Officer at ICONIQ Motors, Mr Bill Russo, Founder & CEO of Automobility Limited, Mr Nicolas-du-Cray, the partner of Cathay Capital’s Innovation Fund, and Mr Daizong Liu, China Director of WRI Ross Center for Sustainable, World Resources Institute. In recent years, the buzz around environmental protection has swept across the automotive aftermarket in China, and traditional service sectors are now facing an increasing amount of pressure to cope with higher environmental requirements. The Green Automotive Painting Summit 2018 on 29 November will discuss the current industry developments in terms of environmental protection policies, environmental products and the solutions to upgrading business in terms of materials, painting technologies and operations. Representatives from leading companies in this field such, as Festool, Fix Auto, Jingzhongjing, MAXLINK and Yatu Advanced Materials will take part in the event. This year, Automechanika Shanghai will also host its first conference on the tyre sector in China. Under the theme of ‘Green, Smart and High Performance Tyres’, the International Conference on Tyre Industry Cooperation & Developments on 29 November aims to become a benchmark for the industry in Asia. It will address some of the most pressing issues that the industry is currently facing, such as ways to facilitate export for Chinese companies, distributors’ strategies to enter the Asian market, and the latest technologies. Backed by a broad experience and a deep knowledge, the five speakers are Dr Qun-Lian Hong, Director and Deputy Researcher of the Industrial Economic Research Institute of the National Development and Reform Commission of China, Mr David Shaw, Chief Executive of Tire Industry Research (TIRes), Mr Sandro García-Salmones, Project Manager of Valebridge Media Services, Mr Hui-xing Shen, President of Shanghai Tyre Association, Mr Zheng-bo Yue from Jia Yi Bing Ding, an integrated tyre logistics and supply chain service group, and Mr Martin von Wolfersdorff, Recycling Specialist from Wolfersdorff Consulting Berlin. 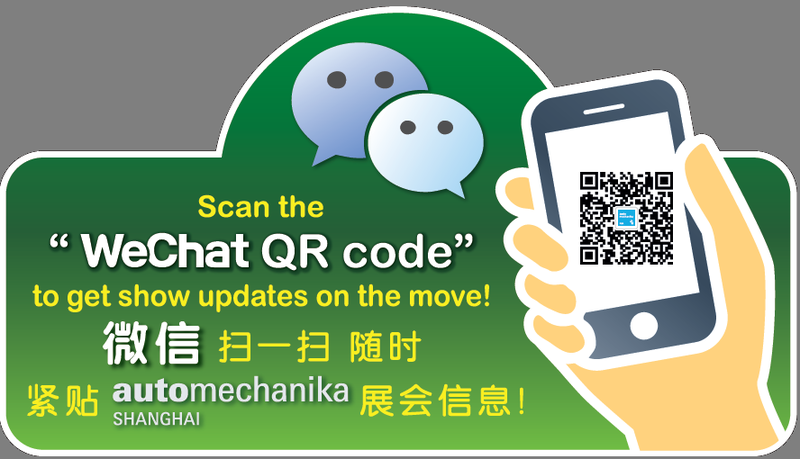 For further information about Automechanika Shanghai 2018 and the show’s concurrent fringe programme, or to download high-res images from last year’s show, please visit www.automechanika-shanghai.com.